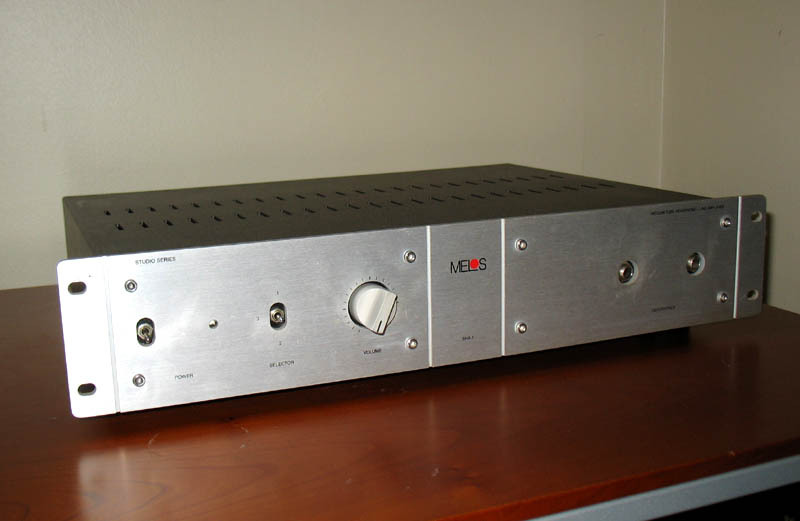 It was Corey Greenberg’s Stereophile review of the Melos and hearing an all Melos system at my local dealer that first piqued my interest. Indeed, a desire in the early 90’s to own one of these is part of what got me into headphones in the first place. At the time, unable to come up with the cash, I bought some Grado SR-80’s and a Headroom Little instead. I finally bought my Melos in 2003. But, it has been sitting unused in a closet for a number of years.